Water-resistant 100% polyester gown with smart grey pinstripe design. 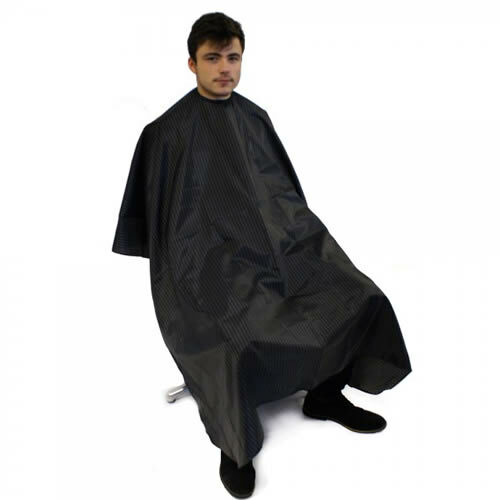 The Hair Tools Pinstripe Barber Gown will look great in any barber's shop with its classic pinstripe looks. Water-resistant and static-free, it has a hook fastening that adjusts to fit all your clients. £9.48 (inc. VAT) Why no VAT? We're a trade wholesaler and quote our prices without VAT to help our VAT-registered customers understand the true cost of a purchase.